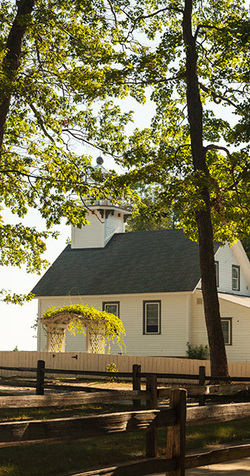 Be a Lighthouse Keeper at Mission Point Lighthouse! Awesome Lighthouse Keepers, Dave and Deb have enjoyed a week at the lighthouse 3 years on a row! 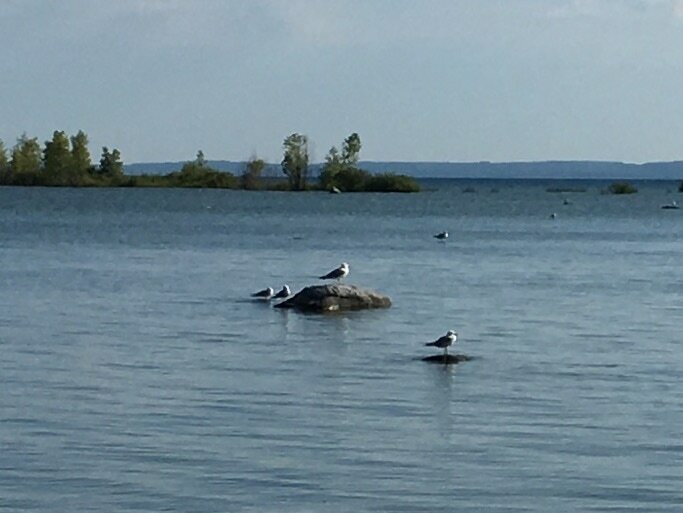 Daily water view of the gulls on their own rocks. 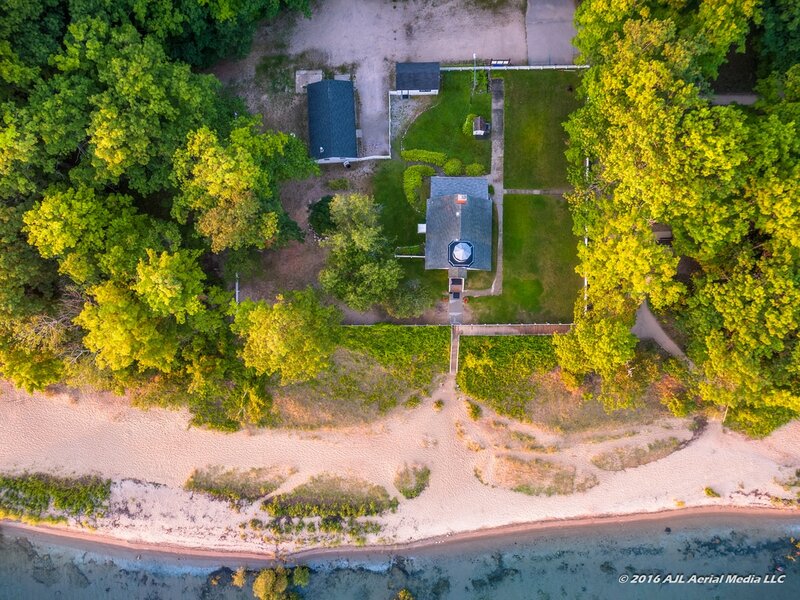 Drone view from directly above the lighthouse, in summer of 2016. Historic Hessler Log Cabin in Lighthouse Park. You can live in Mission Point Lighthouse and be a Keeper with our Lighthouse Keeper Program! Being a keeper for a week is a wonderfully unique volunteer opportunity in which you will stay in the actual lighthouse and share your time and talents. In the gift shop and on the property, you get to meet and talk to visitors from all over the world. Our keepers play a key role in helping to keep this treasured piece of Michigan maritime history alive. Michigan lighthouses are owned by different organizations or some are privately owned, so the few keeper programs available vary and have separate application processes. The Keepers’ Quarters area is well equipped with all the essentials needed to have a comfortable stay. 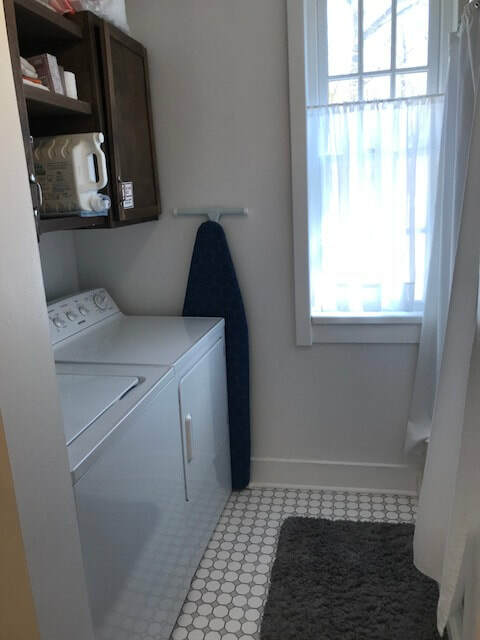 The area of the house the keeper stays has: kitchen appliances, dishes, cooking utensils, small appliances (coffee maker, toaster, microwave, crock pot, gas grill, etc. ), ironing board and iron, all cleaning supplies, and even a washer and a dryer. There is free WIFI, a television with cable service, and plenty of space. We have a locked garage for keepers bikes or other recreational equipment. Keepers provide their own bed sheets, pillows, blankets, towels, and food. The living quarters are heated, but not air-conditioned (we have fans). Mission Point Lighthouse keepers are two adults or occasionally we can schedule up to 4 adult keepers. The bedroom has two single beds, which can be kept together for a couple or spread apart for friends or other relations. We also have a sleeper sofa in the living room. Keepers must be 18 or older. Children and pets are not allowed to stay at the lighthouse. Keepers are welcome to have friends or family visit the lighthouse in the evenings (after 5pm), but guests are not to overnight at the lighthouse. While the responsibilities are not difficult, Lighthouse Keepers do need to be able to climb the 37 steps to the tower to clean the windows and to sweep and vacuum daily. 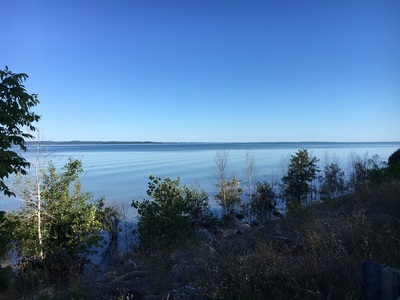 Keepers are also expected to perform some very simple ground maintenance on the lighthouse property (not mowing); light housekeeping and if time permits, a choice of maintenance projects (painting, minor repairs, etc.). We enjoy keepers with talents/experience that can benefit our historic property. Keepers also encourage and maintain visitation records; help with retail inventory maintenance and similar retail duties. Our retail tasks are very simple with the Square POS on WIFI/Bluetooth system, tax is included and all items are priced simply so giving change is easy. Of course, keepers need to be friendly and helpful to all visitors. The weekly schedule is Tuesday to Tuesday with arrival and departure in the late morning. One day off (Monday) is given each week. Upon arrival, the keepers will be trained for a few hours and given a tour of the house and grounds so everything is clear and understood. (Cost is $200 for the week and $370 for 2 consecutive weeks if qualified.) ​​A 2-week stay or more is happily encouraged, especially for keepers with lighthouse keeper or retail experience. each year at least half of those scheduled are repeat keepers. If you embrace snow and northern Michigan winters, you are welcome to be a keeper in our closed season December through April. All the same responsibilities are needed but no retail hours in the gift shop are required. So winter keepers can stay alone if interested and days are flexible. In the off-season, we can accommodate weekend-only stays for $75. Of course, the weekly schedule off-season can be any days since the shop is not open. Mission Point Lighthouse is a State and National Historic Site. 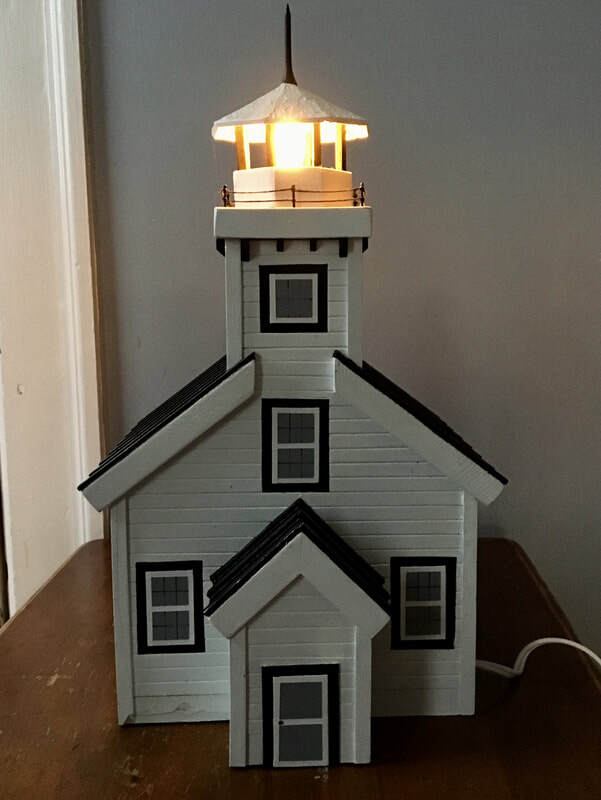 Pets and children can not stay at the lighthouse. Keepers are expected to be neat, well groomed, and appropriately attired when on duty. We encourage keepers to explore Traverse City after 5pm and on their day off. 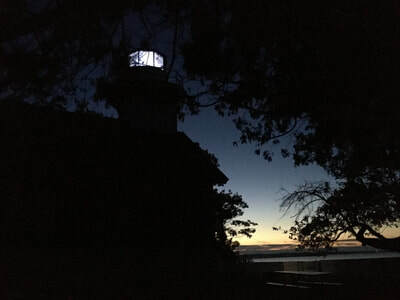 While keepers may certainly leave after the lighthouse is closed for the day, keepers are expected to sleep in the lighthouse each night of their stay. 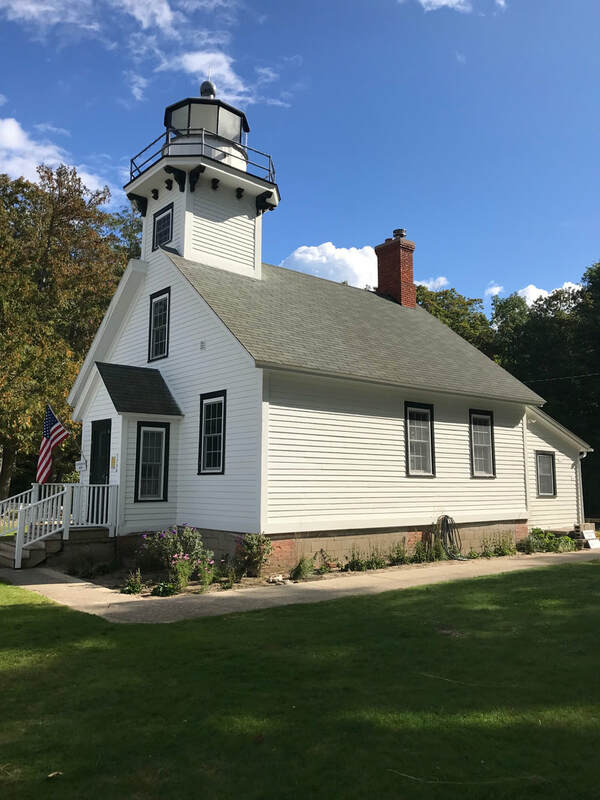 Information about the brief history of Mission Point Lighthouse, as well as retail training, are both provided. There is a thorough training manual provided too. Private access parking is available directly behind the lighthouse for keepers. Camping or use of motorhomes is not permitted. Many keepers choose to bring bikes or kayaks and we have a garage for recreation storage use. If you are interested in becoming a Lighthouse Keeper at Mission Point Lighthouse, you are not alone. We receive several applications monthly. Please click HERE for the application procedures and HERE for the handbook. Be sure to read the entire handbook completely before applying. If your application is missing parts, you will be notified and put in the "incomplete applications" file. For in-season keepers, you must apply with a partner. For the off-season keepers, you can apply alone and some of the information in the Keeper Handbook will not apply. You can also view the keeper calendar on this website at the keeper calendar tab. Scheduling begins in August for the next season. 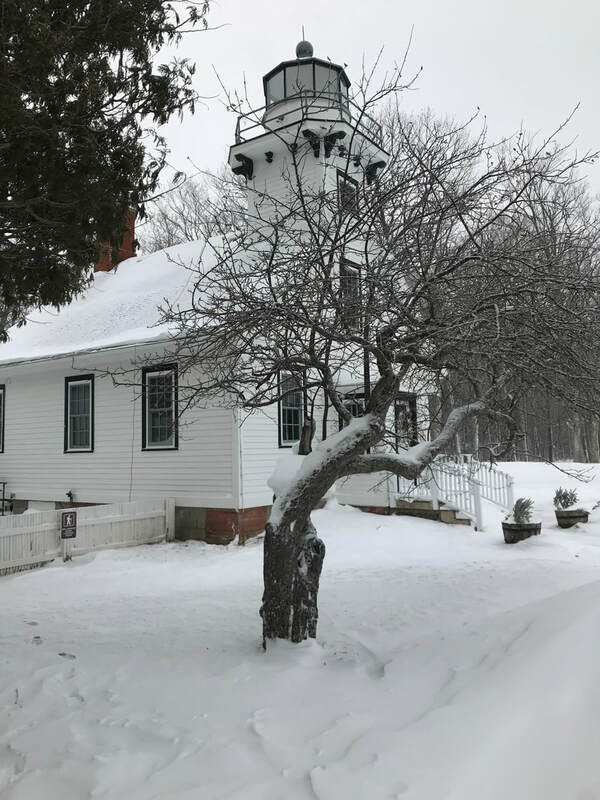 Michigan lighthouses have about 9 keeper programs and they are all different since the lighthouses are owned and run by different organizations and have different needs. Be sure you understand, just because you've been a keeper at another lighthouse does not mean Mission Point Keeper Program will be the same. ​please email Ginger Schultz, Part-time Manager at missionpointlight@gmail.com or call (231) 645-0759. We received a new sleeper sofa from local furniture store Golden-Fowler. This is a beautiful addition to the keepers' quarters.